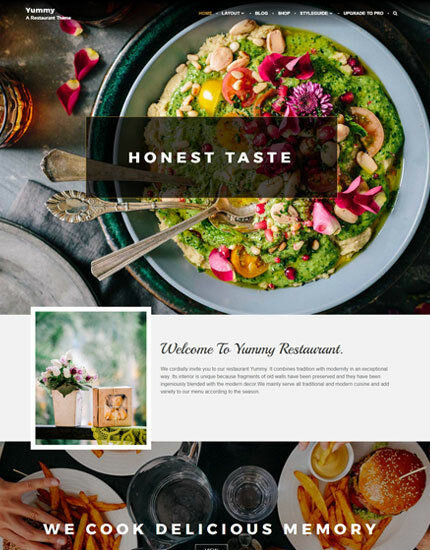 Yummy Pro is a restaurant oriented theme that provides a platform to expose your restaurant on the best manner and also provides feature to sell your delicious and remarkable food and drinks online. It has assembled all the elementary components for restaurant sites. It provides adequate manner to merchandise your restaurant to create and maintain a restaurant that is comprehensive and exceptional in its attention to every detail of operation. It is easily customizable theme build by using theme options panel based on powerful customizer API with live preview. It provides a pack of features such as layouts, typography, multiple widgets and more. It is WooCommerce compatible and translation ready theme. Keep it Sassy!!! 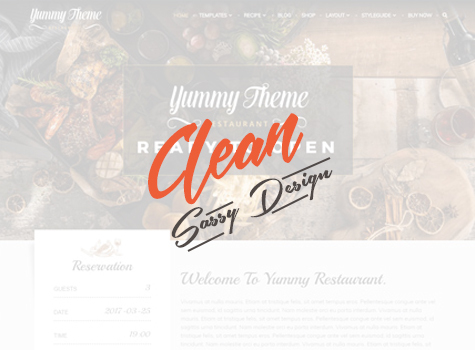 With the new modern and bold design, Yummy Pro makes your site as aesthetic as possible. We have crated the design concerning user experience and interface. Unique but simple design will surely gives the eye appealing spark to your site. Since Recipe is one of the important aspect of any restaurant, With integration with TP Recipe plugin, Yummy Pro showcase the recipe ingredients and instructions. Additionally, users can download the recipe in a PDF format. 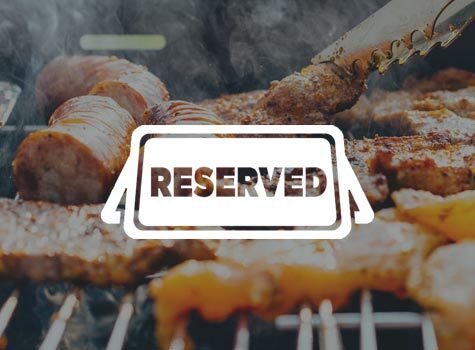 Being a restaurant, online reservation has been one of the most wanted feature. 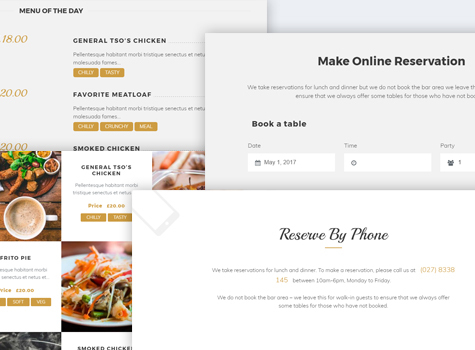 With integration of Restaurant Reservation, user can reserve in your restaurant with multiple options like admin approval and many more. 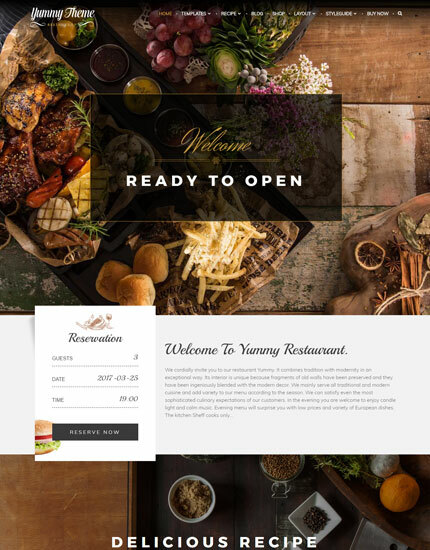 Yummy Pro provides a different custom template for Menu and Reservation listing. Additionally, it has other custom templates too via: About Us, Contact Us and Gallery for showcasing the unique features. 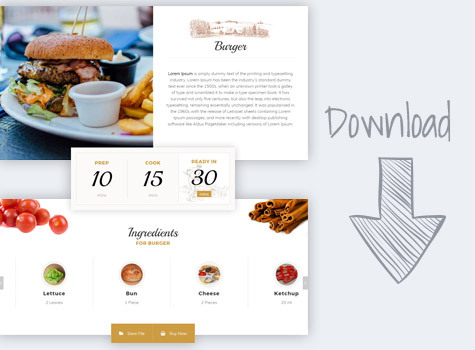 However, being a restaurant, Menu and Reservation templates are the prominent ones. 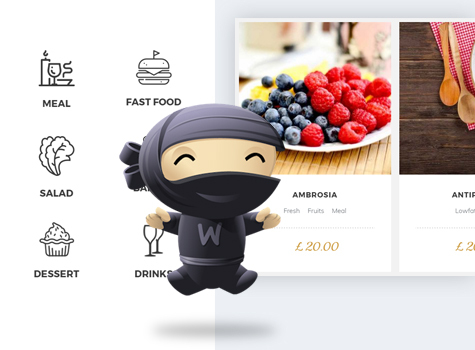 Yummy Pro is WooCommerce compatible to the latest version. Now you can sell your recipes and food items from online. All the woocommerce templates like: shop, single, checkout, order etc are made to look aesthetic with the design.